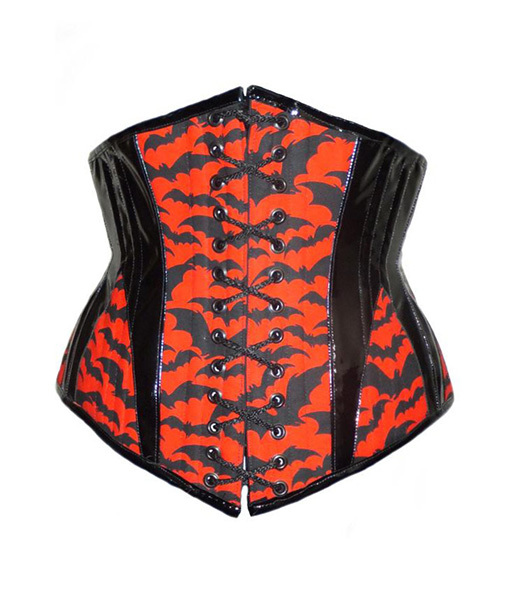 Alexander Henry Bats Fabric & Pvc Underbust Corset. Very very rare Alexander Henry Bats Print fabric. Very Limited Edition! We have enough fabric for about 6 of these corset. Best Quality strong pvc used. Can be made with velvet or satin if you prefer. Corset cord lace up ties at back and front for adjustment.